The plane taxied to Terminal 2 under its own power and passengers got off. RALEIGH DURHAM INTERNATIONAL AIRPORT (WABC) -- A New York-bound passenger plane made an emergency landing at Raleigh-Durham International Airport Monday morning after a reported fire in an engine. 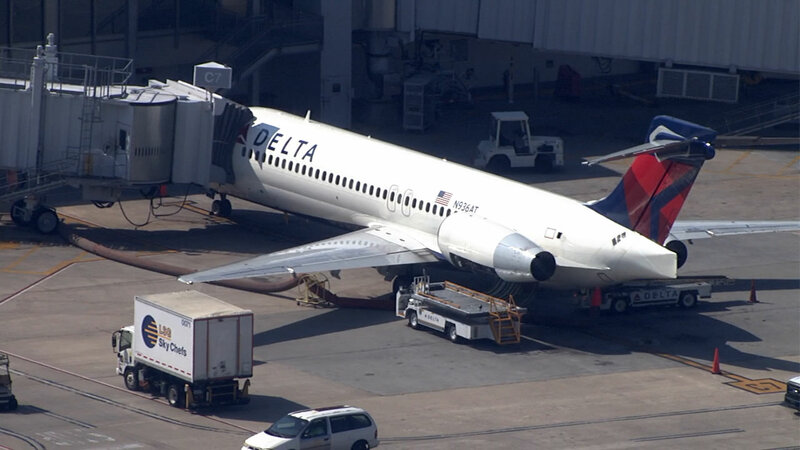 Officials said the Delta Boeing 717 on a flight from Tampa, Florida to LaGuardia Airport with more than 100 people on board landed safely. The pilot reported one of the engines was on fire and it was extinguished in midair. The crew dumped most of the remaining fuel on board before landing. The plane landed just after 9:30 a.m. and taxied to Terminal 2. Delta said another aircraft is being flown to RDU so that the passengers can continue their flight.